Wisconsin Alimony Attorneys - Crooks, Low & Connell, S.C.
How Alimony is Decided in Wisconsin? In Wisconsin, either spouse can receive alimony (also called “maintenance”) in a divorce. The courts consider a number of different factors in deciding whether to award maintenance (and if so, how much), and spouses resolving their divorces through negotiations, mediation, and collaborative law should generally consider these factors, as well. Unlike child support, which has specific guidelines and calculations for establishing parents’ obligations, alimony is less structured. As a result, the courts and divorcing spouses in Wisconsin have a significant amount of flexibility when it comes to crafting a maintenance award. Generally speaking, however, an award of maintenance should serve two main purposes: (i) to fairly allocate the spouses’ net disposable incomes; and/or, (ii) to meet both spouses’ budgetary needs, while allowing them each to maintain the standard of living that they enjoyed during their marriage. Other relevant factors based on the circumstances involved. To Settle or To Go To Court? 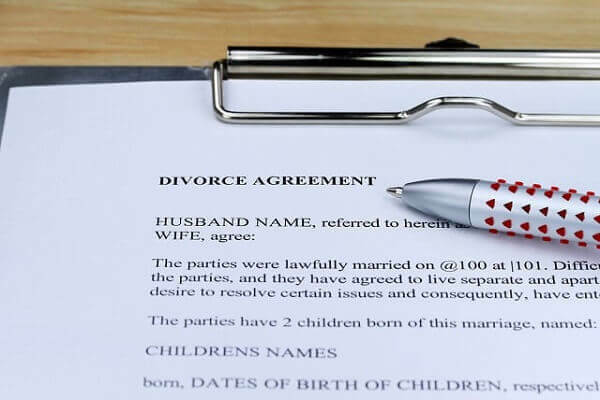 Like all other aspects of a divorce, divorcing spouses have the option to establish alimony by agreement, instead of arguing their positions in front of a judge in court. Even when spouses are completely at odds, with the help of their respective attorneys, they will often be able to negotiate a mutually agreeable maintenance award. While going to court is an option (and, sometimes, it is the only option), using alternative dispute resolution methods, such as mediation and collaborative law, can often save significant amounts of money and avoid much of the lasting discord that typically comes with going to court. Finally, it is important to note that, if you and your spouse entered into a prenuptial agreement, your agreement could prescribe the maintenance (if any) to be awarded. Maintenance is one of the many topics that can be covered in a prenuptial agreement; and, particularly when one spouse earns much more than the other, it is not unusual for a couple to address maintenance at the outset of their marriage, in order to avoid litigation in the event of a divorce. Questions About Alimony in Wisconsin? Contact Crooks, Low & Connell, S.C. If you are preparing for a divorce and have questions about alimony, we invite you to schedule a confidential consultation with one of our attorneys. To speak with an attorney at our offices in Wausau, send us a message online or call (715) 842-2291 today.